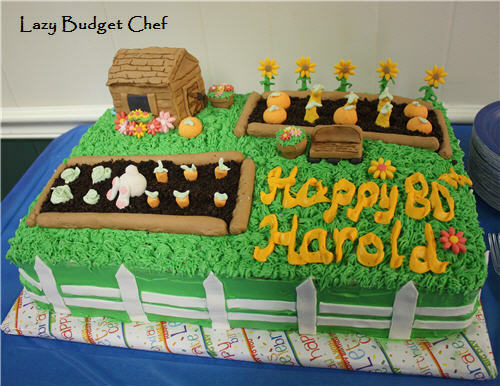 Pin this vegetable garden birthday cake idea for later! Husband’s cousin made this adorable garden cake for her dad. 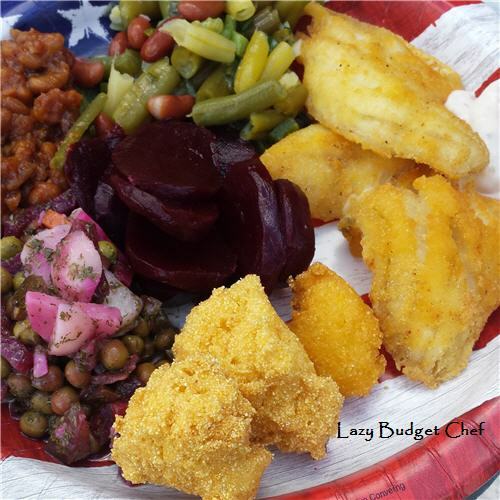 So clever and everything is eatable! She made the garden shed from rice Krispy treats covered in fondant. 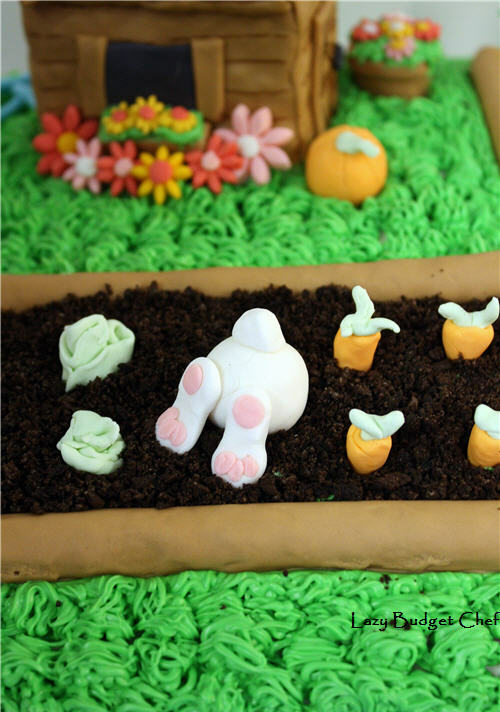 The garden boarders are pretzel sticks wrapped in fondant, and filled with a generous amount of icing and fondant vegetables. The piece de resistance is the comical bunny diving head first into the carrot patch. Silly rabbit! Bunny butts make me giggle every. single. time. She left no thoughtful detail behind and made the cake with dairy free ingredients so I could enjoy a slice too. How thoughtful! Would you want this as your birthday cake?